Google is just about the coolest thing to ever hit the internet. Once again, Google strikes in a massive effort to help connect moving people to transit, alternative fuels and useful information about getting from A to Z. Props to DOE and NREL too! 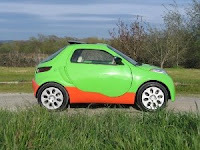 Driving cross-country or even around town in an alternative fuel vehicle used to require drivers to do a little homework to find the nearest fueling station—but not anymore. Drivers on-the-go can now access the Department of Energy's (DOE) Alternative Fueling Station Locator using their cell phone, BlackBerry, or other personal digital assistant (PDA). And I just bet there's a cool iPhone app for this! The Mobile Alternative Fueling Station Locator allows drivers to find the five closest biodiesel, electricity, E85, hydrogen, natural gas, and propane fueling sites. This convenient tool uses Google Maps (woo-hoo!) to automatically generate maps to fueling sites and lists each station's contact information and business hours. The mobile station locator is part of the Alternative Fuels and Advanced Vehicles Data Center (AFDC) Web site. It was developed by the National Renewable Energy Laboratory (NREL), which manages the AFDC. The tool is sponsored by the Clean Cities initiative, a government-industry partnership sponsored by DOE's Vehicle Technologies Program. Download a Free Excerpt Now! 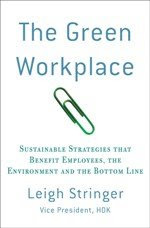 The Green Workplace supports green companies! Leigh Stringer, LEED AP, aka "Greenette," has spent her career focused on green design and workplace behavior. She works for HOK, a global architectural firm in Washington, D.C. and has been interviewed for her work by CNN, USA Today and ABC’s Good Morning America. solar powered cellphone - need I say more?